Do you have trouble with sunburns every year? Do you avoid the sun because you burn so easily? Is there something you can do so that you don’t burn so easily? 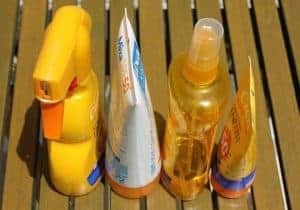 Are there natural sunscreens that you can feel good about using? How do you treat sunburns naturally? Come join me as I answer all these questions. Worried about getting postpartum depression? Every woman has heard horror stories about postpartum depression. Many women have experienced it and never want to again. Understanding it and recognizing the symptoms can help but ultimately we want to avoid it altogether or have some tools to help alleviate the symptoms. Recipes will be available and afterwards we will tour the store and see where you can find these yummy foods. Having trouble getting pregnant or wanting to preare your body for a healthy pregnancy with fewer symptoms? I will be offering this 6 week group program for women and couples starting the first week of November. (Dates and times to be determined by participants.) We will be focusing on nutrition to improve fertility and to prepare your bodies for pregnancy. We will also cover many other topics like body and home care products, improving digestion, and more.